Enjoy those beautiful afternoons and evenings outdoors in our luxurious Amish Curve Back Swivel Poly Porch Glider Chair. This poly swivel glider offers maximum comfort with its effortless gliding feature that requires little effort from you. It also features a swivel at the base of the chair to offer a full 360 degree range of motion. 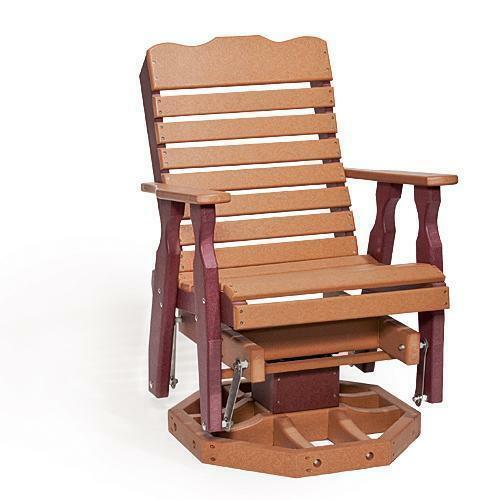 Place the Amish Curve Back Swivel Poly Porch Glider Chair on the back patio to watch the sunset or place it in the backyard to create your own private oasis. 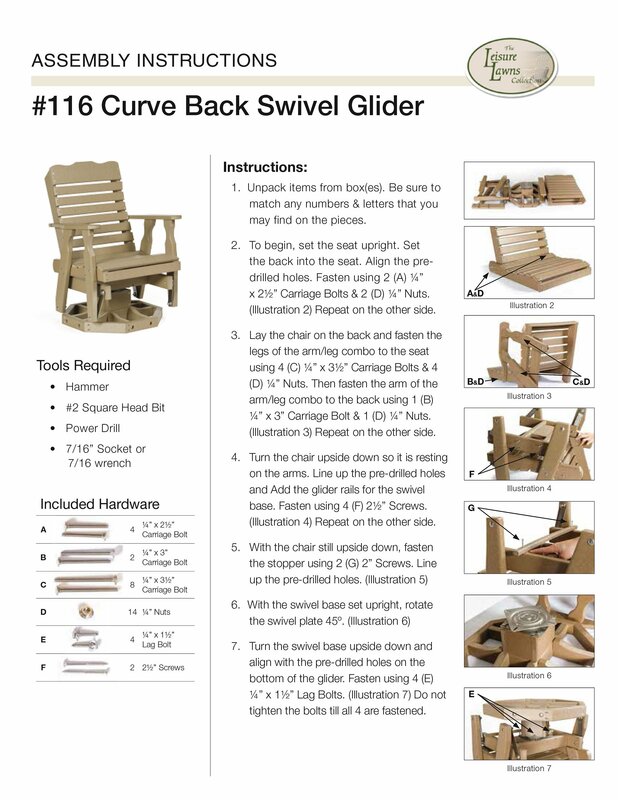 No matter where you place the Amish Curve Back Swivel Poly Porch Glider Chair, it is sure to provide its user with plenty of comfort and relief. Add in the matching ottoman to complete the set, and so you can kick up your feet to experience the perfect way to relax outside. Made by the Amish, Made in America! Made of recycled poly lumber, the Curve Back Swivel Glider is the eco-friendly, maintenance-free choice in outdoor furniture. 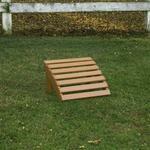 Poly lumber, a wood lumber substitute made from recycled materials, will not chip, crack, rot, or develop mold. It requires no maintenance like painting or replacing pieces. Just clean the poly lumber with soap and water. All-purpose cleaners or bleach and water solutions take care of extreme cleaning needs. This chair is built by skilled Amish woodworkers who make quality furniture, no matter what material they use. Enjoy years of carefree comfort with the Curve Back Swivel Glider. *Combine any two for a custom look! No Splinters,Splitting,or Cracking- always smooth to the touch! Quality Takes Time – Typical Build Time for This Piece is 3 to 4 weeks. I absolutely LOVE the glider/swivel chairs. We could not be more pleased. They are being used at the corner of our 2.5 acres at a recently built firepit/patio destination area. I will not hesitate to contact you with a future order when we know what we need for the front and back porches. Thank you for such great service!